SKU: BLACK001-2. Tags: beard growing product, beard growth cream, beard growth product, black phom thong facial hair growth cream, black phomthong, black phomthong beard, buy beard growth product, eyebrows growth cream, eyebrows growth product, facial hair growth product, facial hair thickening, grow facial hair thicker, mustache growing product, mustache growth cream, mustache growth product, sell beard growth product, sell blackphomthong, stimulate eyebrows growth, where to buy blackphomthong. 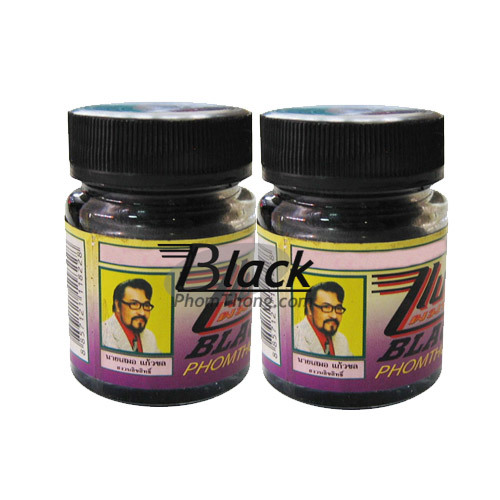 BLACK PHOM THONG Facial Hair Growth Cream 20g. This product made in Thailand with 100% herbal ingredients – chemical free, no preservatives and no negative effect to your skin. Its strong scents is from Thai Natural Herbs (no fragrance added!) which is good for facial hair health. The products is approved by the Thailand Commercial Registration. 1. Wash & Clean your face especially at the growing area. 2. Apply a bit of cream by gradually massage over the area you want to grow facial hair and smoothly massage until the cream absorbed thru your facial skin and the black cream is faded away (until black cream does not appear on skin) and can do make up as regular. Normally, the result can be seen around the 3rd week. Small hair will appear and you can continually use for thicken facial hair. Note: this product is not medicine and not help for those who have hormone deficiency or testosterone deficiency. Also not recommended for person who don’t have hair follicle cells in the area to grow. The time period of usage and the result depends on individual. Individual factor means somebody can see the result in 3 weeks but some may take more longer time to see which depend on individual hormone basis as noted. Storage Condition: Keep fresh in dry & cool area. Warning: For external use only. Keep out of reach of children. If a rash develops and persists, discontinue use. 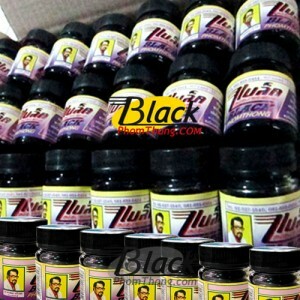 ACTIVE HAIR COLLECTION: Black Phomthong Facial Hair Cream 20g. + Hair Growth Oil 100cc. Black Phomthong Hair Growth Oil 100cc. VALUE SET 6 PCS: Black Phomthong Hair Growth Oil 100cc. PRO SET 300 PCS: Black Phomthong Facial Hair Growth Cream 20g.